Celebrating the Earth through art and story telling. Check out Craigmore Creations in the community. Students from the Lent School of Portland Oregon sent thank you notes to David R Shapiro for his presentation and gift of Terra Tempo books to the 3rd and 4th grade students. David gifted close to 90 books for the school to use. Terra Tempo 1, 2, and 3 can now be integrated into their learning curriculum. Craigmore Creations is an independent publishing house located in Portland, Oregon. Our books celebrate the earth through art and storytelling. We create graphic novels, young adult books, picture books, and educational tools that all share a common thread of natural history. 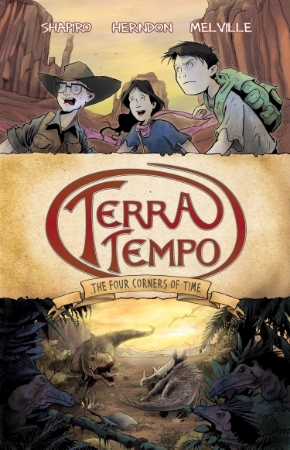 Terra Tempo—A fun and adventurous way to explore natural history. Purchase 10 or more books to receive a discount, classroom poster and teacher's desk copy.